Taryn “Tess” Anderson, from Hugo, MN, earned her Master’s degree in acupuncture and Traditional Chinese Medicine from American Academy of Acupuncture and Oriental Medicine (AAAOM) in Roseville, MN. She is board certified in acupuncture by the National Certification Commission for Acupuncture and Oriental Medicine (NCCAOM) and is licensed by the Minnesota Medical Board. During her work as an undergraduate, she was a part of AAAOM’s weight loss clinical trial. 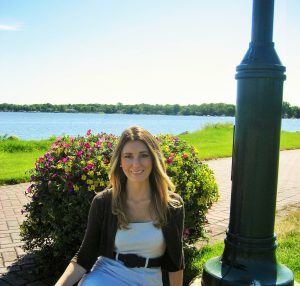 Prior to her current Forest Lake location, Tess started Source Health Acupuncture at Healing Waters in White Bear Lake, MN. Tess loves Forest Lake and is thrilled to bring Traditional Chinese Medicine to the Wellness Center, as she has always had an interest in helping others with non-traditional medicine. She believes that acupuncture is an important component to health because it focuses the root of disease by treating the body as a whole (mind, body, spirit). Currently, she is working on her certification in Chinese herbology, and her area of special interest is in treating digestive disorders and pain conditions. When she’s not treating patients, Tess enjoys connecting with her family and friends. She spends time outdoors biking and walking, as well as strengthening her practices at yoga and nutritious cooking.